DSR Tax Claims are proud to announce that Caylee Thomas has been promoted to Tax Practice Manager. 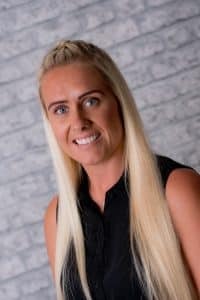 Caylee’s promotion comes as a result of a growth in operations for the firm of tax preparation specialists, based in Nottingham, as more and more clients seek out their expert allowable expense knowledge. DSR Tax Claims director, David Redfern, stated that “Our recent growth and expansion has made it evident to us that we needed to update our organisational structure as a result, and due to Caylee’s assiduous work ethic, determination and talent, it was clear that she was the perfect candidate for the role. She has hit the ground running and is already proving herself to be more than adept at the role and we are proud to reward her hard work”. He added that career progression is an important aspect of careers with the firm, stating that “as a company, not only do we seek the best to join our growing team, but we reward the commitment and skills of our employees by providing good career progression paths so that our employees always feel as though their efforts to challenge themselves are rewarded”. New Tax Practice Manager Caylee Thomas, speaking about her promotion, stated that she was “delighted to be given the opportunity to take the next step on my career path. It’s important to me to feel that my efforts are noticed and rewarded, and it makes me feel proud to work for a company like DSR Tax Claims, who place such a strong focus on career progression and on rewarding hard work and commitment”. Redfern added that the company were always keen to hear from those who believed they have the strong skillset and commitment to make an impact on the team. DSR Tax Claims Ltd are the tax preparation specialists, identifying maximum allowable expenses and providing maximum tax refunds for clients throughout the UK.